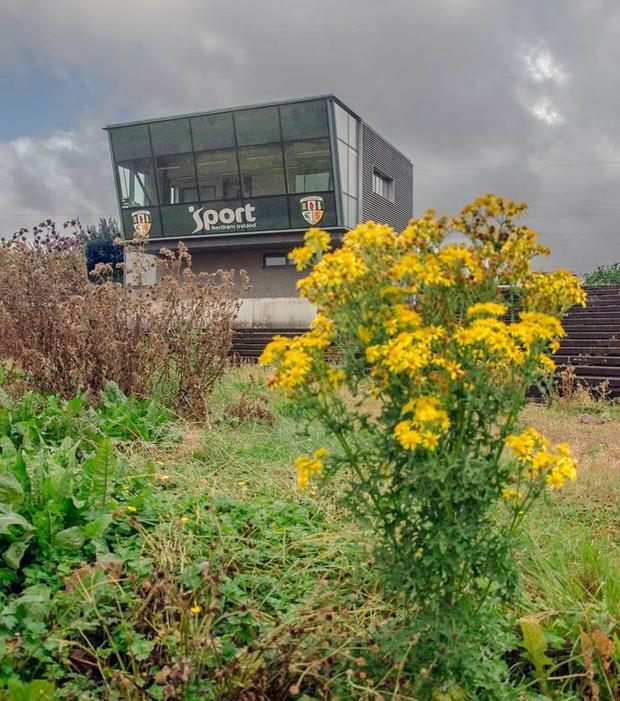 It should be the pride of Antrim and Ulster GAA, but instead Casement Park is a weed-infested abandoned ruin, a west Belfast eyesore with a proud past, an embarrassing present and an uncertain future. Closed since July 2013, there are now more doubts than ever about when redevelopment work on the 34,500 stadium will begin. Indeed, there are fears that it could be several years before work commences. The sense of frustration felt in Antrim is highlighted by a posting on the county board’s Twitter account. Permission for a revised planning application is awaited against a background greatly complicated by the absence of a government in Northern Ireland. A recent ruling by the Court of Appeal found that, in the absence of a minister, civil servants did not have the power to grant planning permission for a waste treatment centre and incinerator in Mallusk. The ruling has serious implications for Casement Park as it holds that only ministers can approve major building projects. And since no ministers have been in position since March last year – and with no sign of a return of the Northern Ireland Executive – the Casement Park redevelopment could be put back indefinitely. The knock-on effect of Brexit adds to the uncertainty. “It’s an unfortunate situation and all we can do is push for a decision as best we can. Redeveloping Casement Park remains a top priority for us but there’s only so much we can do in the current circumstances. And they certainly aren’t easy,” said Ulster Council secretary, Brian McAvoy. The estimated cost of the new stadium was put at £77m (€98m) two years ago, with £62m to come from public funds, while the GAA committed to contributing £15m (€19m). “It’s very disappointing to find ourselves in this situation so far down the road. The reality is that we are left with no county ground and our county teams are on the move a lot of the time. No other county is in that position,” said Antrim county secretary, Frankie Quinn. 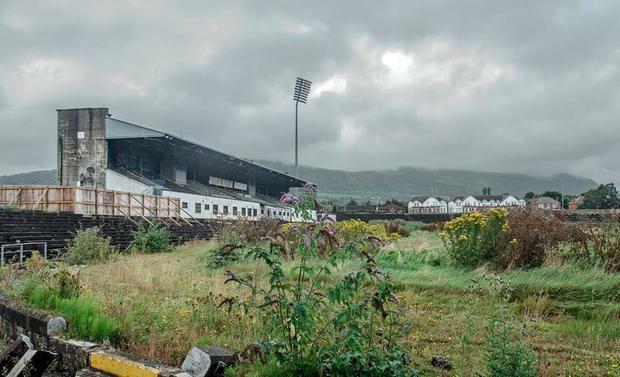 It’s nine years since the redevelopment of Casement Park was first mooted and after an exhaustive consultative and planning process, permission to proceed with a 38,000-capacity stadium was granted by the then Environment Minister, Mark Durkan in December 2013. That was despite objections from almost 1,000 residents living near the ground. They raised issues over the size of the new stadium and the impact it would have on the locality. A year later, a High Court judge in Belfast ruled that the Minister had acted unlawfully in approving the project. The judge deemed the decision to be “irretrievably flawed”. He cited failures in the environmental impact assessment as one of the main reasons for his decision. It was back to the drawing board for the GAA, who unveiled revised plans for the stadium in October 2016. Capacity was reduced to 34,500, allowing various other adjustments designed to appease local concerns. An application for planning permission was lodged in January last year, but a decision still awaited and now the big fear is that it the Court of Appeal decision on the Mallusk waste treatment centre and incinerator project could delay it indefinitely. “The fear is that this could go back for a few years. How many, we don’t know. That’s the last thing we need. We are confident that in normal circumstances, Casement would get the go ahead but all sorts of other issues are involved now and we don’t know how they will work out. We can only hope for the best,” said Quinn. The redevelopment is a two-year project so even if planning permission were granted immediately, it would not be completed until the end of 2020. However, with no sign of the Stormont Executive returning any time soon, there’s no way of knowing when a decision on planning will be given. Meantime, Antrim GAA continue to lose out in circumstances over which they have no control. 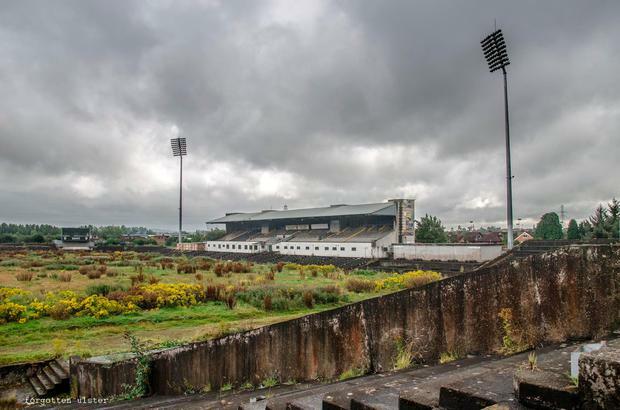 Opened in 1953, having cost £101,000 (€128,000), Casement Park became one of the best-known GAA grounds in the country, hosting Ulster Championship games right up to its closure six years ago. The last Ulster football game to be staged there was in 2013 when Monaghan beat Antrim in the quarter-final. It hosted some Ulster finals, the last being in 1971 when Down beat Derry by 4-15 to 4-11 in front of a crowd of over 25,000. It was played over 80 minutes as part of an experiment in championship games which lasted from 1970 to 1974. Antrim enjoyed great days in Casement Park in 2000 when beating Down in the Ulster quarter-final and drawing with Derry, the reigning league champions, in the semi-final. Indeed, it took a mighty leap by Anthony Tohill to prevent Antrim scoring the winning point in stoppage time. Derry won the replay. A year earlier, Casement hosted a memorable contest when Down staged great recovery to beat Tyrone in the Ulster semi-final. Down trailed by five points in the first half but inspired by Ciarán McCabe, who scored 2-3, they overpowered Tyrone in the second half.